First, "Forget not to be patient with yourself." We tend to compare our weaknesses with other's strengths. (I know I do.) But no one (except Christ) is perfect, and that's okay. As long as we are trying to become better, we're doing alright. Second, "Forget not the difference between a good sacrifice and a foolish sacrifice." Some things are worth sacrificing for, and some are not. Are we spending our time and effort on worthwhile things? I think that is an important thing to remember; we can't do everything, so we must choose what is most important and just not worry about the rest. 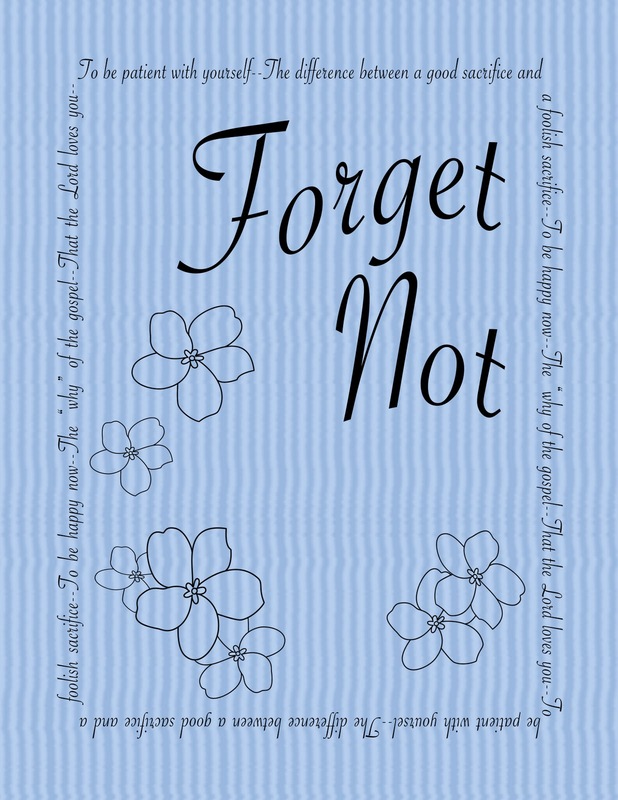 Third, "Forget not to be happy now." Sometimes we think, I will be happy...when I've graduated...when I get my dream job...when my baby is sleeping through the night... (Ah, the joys of a full night's sleep.) But we need to remember (to "forget not") to be happy even before these things happen. 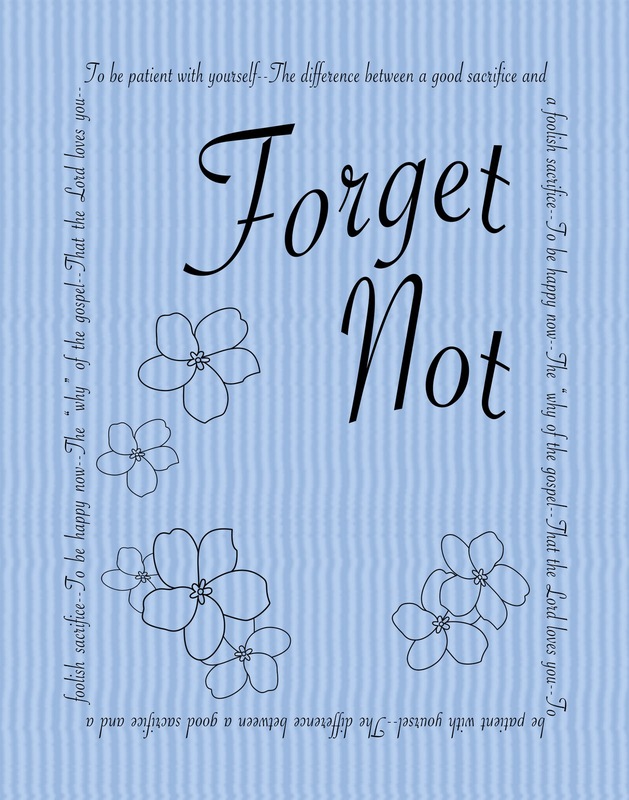 President Uchtdorf said, "The lesson here is that if we spend our days waiting for fabulous roses, we could miss the beauty and wonder of the tiny forget-me-nots that are all around us." Fourth, "Forget not the 'why' of the gospel." We are busy. That's a fact. It is hard to get done all the things we need to do. But the gospel is intended to make us happy, not stressed; if we remember why we're doing the things the Lord asks of us, we will be happier. And fifth, "Forget not that the Lord loves you." Always, always remember that. 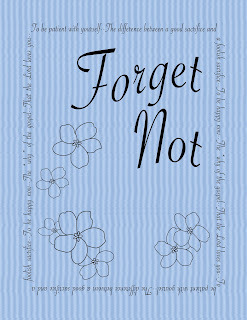 And now for the printables, to help you "Forget Not." Love this Jill! What a great message and really great printables to use as a reminder! Boo's Bedroom is All Decorated!